Do under-counter wall ovens work well in a new kitchen? 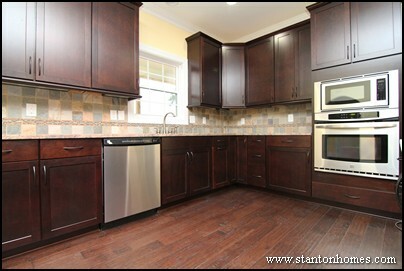 I really want a wall oven, but placing it above the counter is taking up too much space in my current kitchen floor plan. I think that a wall oven looks cleaner and more upscale than a regular range. 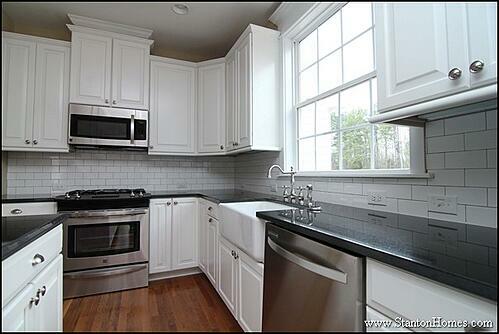 "An under-counter wall oven installation is an idea that we don't see often. 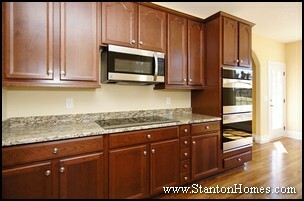 Thanks to innovations in universal design, this type of range/cabinet combination is available for new home kitchens. Pay careful attention to base cabinet cut-out dimensions. 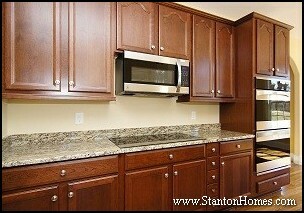 For instance you will most likely need a 33" base oven cabinet to accommodate a 30" oven. 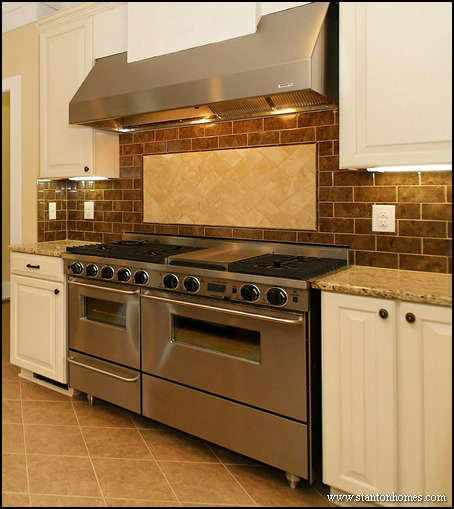 In some cases certain drop-in cook tops can be installed on top of the base cabinet ovens. 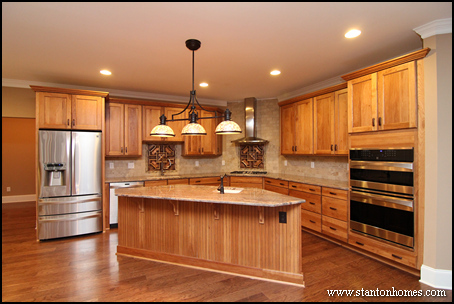 Read all of the appliance and cabinet specifications carefully - you can even Google which cook tops are available for this type of installation. This idea of a drop-in cook top may or may not be necessary. 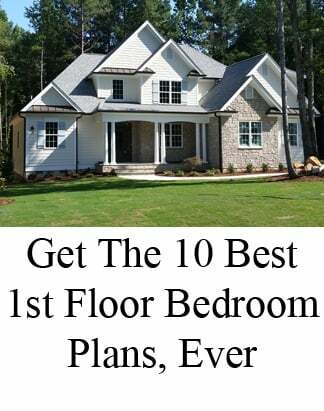 But it gives you the ability to dedicate no more than the same amount of space as a free-standing range, while achieving a built-in look in your kitchen. 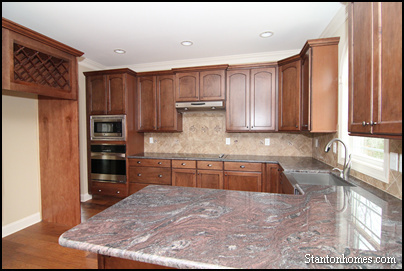 The downside is that you must purchase two appliances (instead of one) and a specialty cabinet. There is also the option of a SLIDE-IN range. They are somewhat more costly than a free-standing range, yet they do not require a specialty cabinet like the drop-in option. Slide-in ranges have side edges that slide over the adjacent sides of your counter tops and so they prove to achieve a more custom look as well than a free-standing range. Plus, you don't have to deal with that tiny crevice in between a free-standing range and the adjacent cabinets that always traps all kinds of food particles and so on no matter how careful you try to be. Please be aware that slide in ranges sometimes recommend a "bridge" at the back which is an extension of your counter that falls in behind the slide in range. 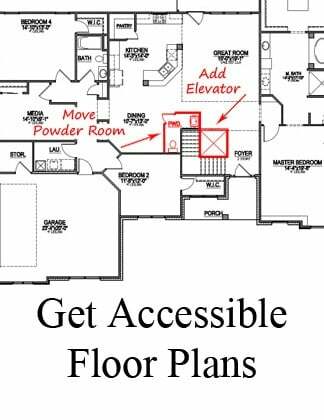 Counter top fabricators are very familiar with this - all you need to do is tell them that you are planning for a slide-in range. The "bridge" is usually no more than 2 - 3 inches in depth. 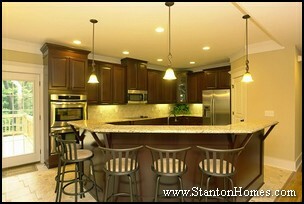 It also catches anything from falling behind the range and adds to a more built-in look. Since again this is only one appliance as compared to purchasing a wall oven and a cook top, it should save you some money. 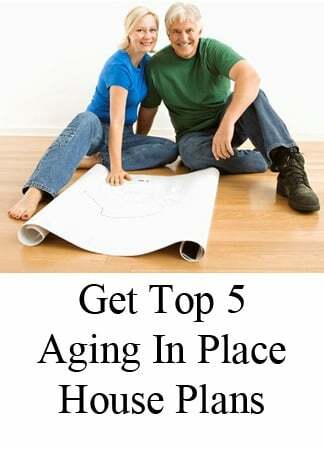 You will also save money on wiring because you only need one circuit as opposed to two. 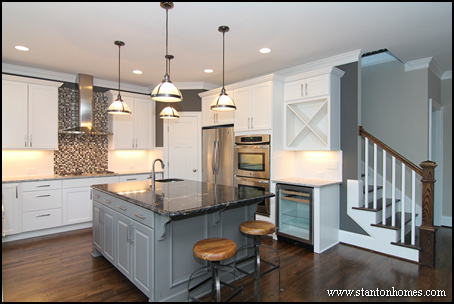 Based on these options and costs, my advice is that you explore the slide-in range option for your new home kitchen to get a built-in and higher-end look." 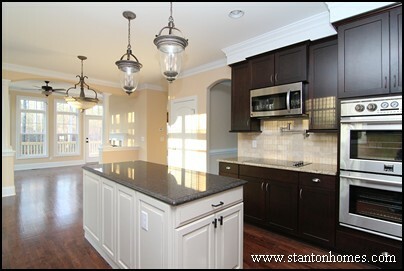 Have a kitchen or interior design 2012 trend question for YOUR new home? 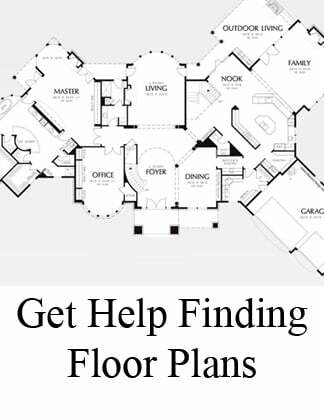 Ask Andrea, and she'll let you know all the latest in design/build trends for new custom homes! 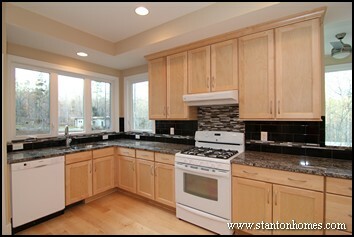 Appliance Choices: Are more homebuyers choosing a wall oven and cooktop over a traditional range? Raleigh kitchen design trends show an increased interest in creating a "modular kitchen" by adding a separate wall oven and cooktop, rather than an integrated range. While a separate wall oven and cooktop can be more expensive than a traditional cook range, the benefits are appealing to many homebuyers. What are the benefits of a wall oven? 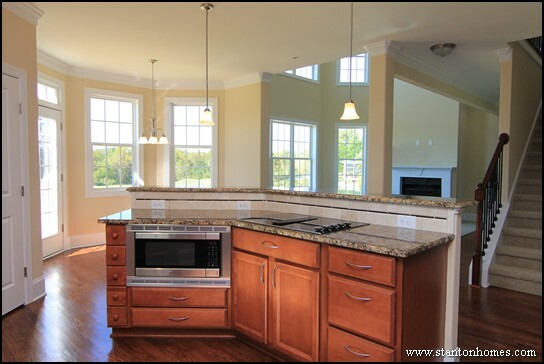 Double wall ovens are very popular in Raleigh new home kitchens, as many homebuyers are looking for space maximization. Double wall ovens can be ideal for large dinner parties, holidays, or occations that require several different dishes (such as a roast and baked good) to be cooked at the same time.